With a passion and love for the arts, Dapper Street Productions was formed. 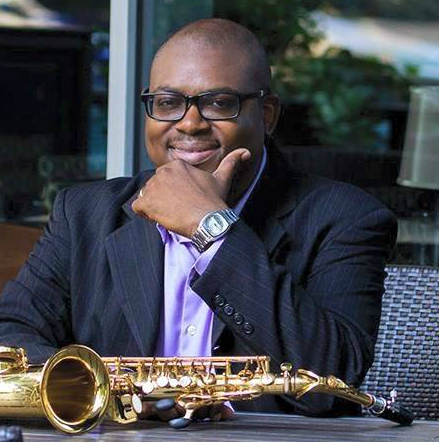 Established in 2015 by National Recording Artist, Nicci Canada and Saxophonist, Letron Brantley, they sought out to do what came natural, express themselves through the arts and creating a positive environment for the appreciation of jazz. Our mission is to develop, promote, and support a vibrant and creative jazz culture through concerts, special outreach and educational programs. West Virginia native, vocalist, mentor and entrepreneur, Nicci Canada possesses a unique ability to connect with listeners. Nicci uses her voice as a canvas to showcase the truths of the heart and soul. Her warm, sultry vocals are reminiscent of artists such as Ella Fitzgerald, Billie Holiday and Nina Simone, but her amazing sound is unique to the gifts and talents she has been given. Nicci released her first solo project in 2011 title “Twenty Twelve”, an eclectic mix of melodies that highlighted her unique vocal ability and introduced her to audiences around the world. However, it would be the grace and soulful serenity of Jazz that called to her heart and would deliver her to a world of jazz enthusiasts. She has since gone on to perform with the Charleston Symphony Orchestra and the Tulsa Signature Symphony. Having come away with such a rich experience of the arts Nicci wanted to cultivate it in within her own art of expression; therefore giving birth to Dapper Street Productions.